With the popularity of digital catalogs, online marketplaces, and image-sharing platforms such as Pinterest, the question arises—are print catalogs still worth it? It seems that for every outdated declaration we hear that print is dead, another catalog appears in our mailboxes. As it turns out, the persistence of print catalogs is supported by recent research. Although the rate of print catalog use took a dip after 2007, 2013 marked a revival, with the number of catalogs mailed in the U.S. increasing to 11.9 billion copies. In addition, according to the Direct Marketing Association, roughly 90 million Americans purchase products from catalogs, and it’s not hard to understand why. Print catalogs offer something that simply cannot be duplicated online—a physical presence. They can be held, paged through, and dog-eared, and this offers several benefits that differentiate them from digital communications. Their physicality makes them interruptive, and it lends a sense of permanence and credibility, unlike the multitudes of easily deleted web pages. Print catalogs draw in readers and provide an engaging experience. In fact, according to the United States Postal Service, when mail readers sit down with their mail, they spend an average of 30 minutes with catalogs. 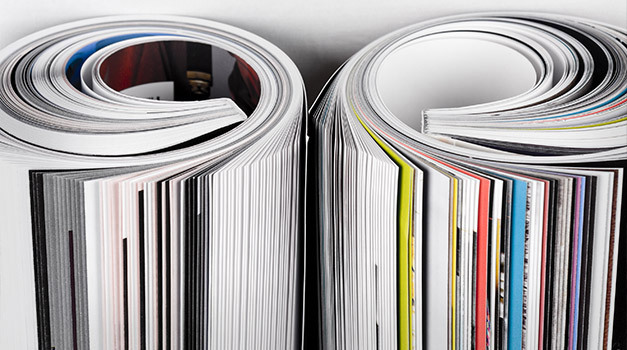 So, how can marketers take advantage of the benefits of print catalogs? First, keep in mind that the resurgence of print catalogs does not diminish the value of digital marketing. Involving print catalogs in a larger, integrated marketing campaign is key. Developing a corresponding digital catalog or an online store, in addition to your print catalog, gives your audience the option to browse and shop in the way that works best for them. Secondly, adopt the latest marketing tactics to round out your print catalog initiative. You can drive traffic where you want it with QR codes, offer a richer experience with augmented reality, and direct your audience to your social media presence to connect further. Finally, consider developing catalogs that are more focused and personalized to engage your audience in ways that will stand out to them. For instance, Patagonia recently developed a falconry-themed catalog to appeal to its outdoor enthusiasts. You can even include special coupons and offers to reward your customers and to track audience response. At Street Level Studio, we’ve developed catalogs for several clients in recent years, as you can see above and below. Each of these was created as part of larger marketing strategies that included an online presence and additional print materials. Because these clients have large product lines, the combination allowed the clients to maximize the impact of their marketing efforts. You can learn more about the revitalization of catalogs in this article. And don’t forget to check out our blog post about IKEA’s satirical video detailing the “special features” of their annual catalog.